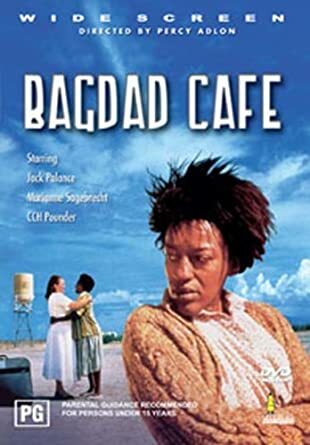 'This month’s February classic movie is the 1987 quirky, magical film ‘Bagdad Cafe’.... Synopsis: After breaking down in the middle of the California desert, a German couple begin to argue, and the wife walks. She ends up at a flea-bitten truck stop that is the second home to a group of odd characters, and she begins to transform their lives. (Courtesy Rotten Tomatoes). Doors open 6.30pm, film starts when someone flicks the lights. After 7.15pm but before 7.30pm. Admission: Gold coin donation (to cover cleaning/heating). Bar will be running with reasonably priced quality refreshments to assist with the laughter & joy this magical film will bring, serving the usual red/white/beer/cider/tea/coffee/milky milo.